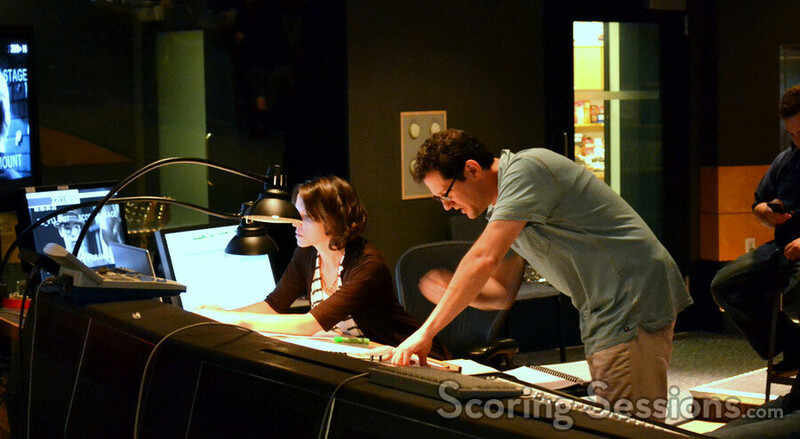 Earlier this spring, Oscar-winning composer Michael Giacchino was at the Newman Scoring Stage at 20th Century Fox to record his score to longtime collaborator J.J. Abrams feature film, Super 8. Shrouded in secrecy for much of the production, Super 8 serves as homage to the Steven Spielberg films of the late 1970s/early 1980s. 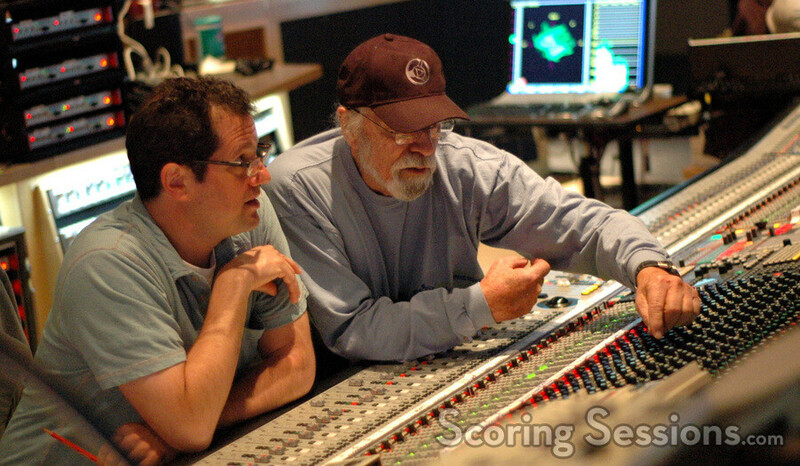 Spielberg served as a producer on the film, which marked Abrams’ third studio feature as a director. 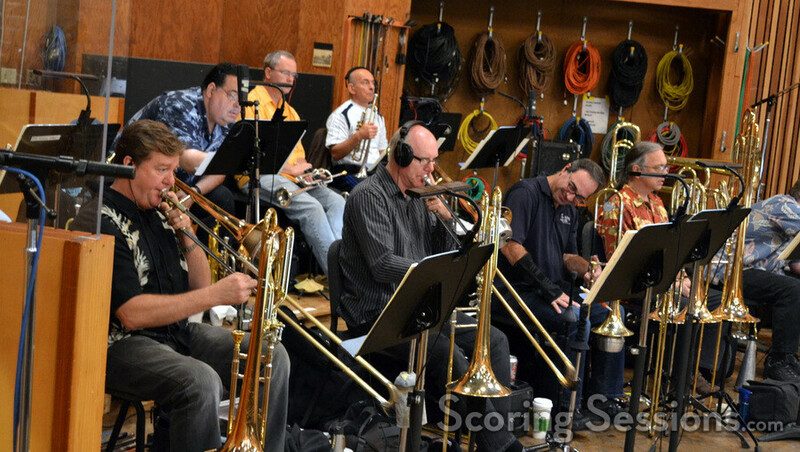 With orchestrator Tim Simonec conducting a 104-piece ensemble of the Hollywood Studio Symphony, Giacchino’s score was filled with numerous themes and motifs, including an emotionally charged main melody. 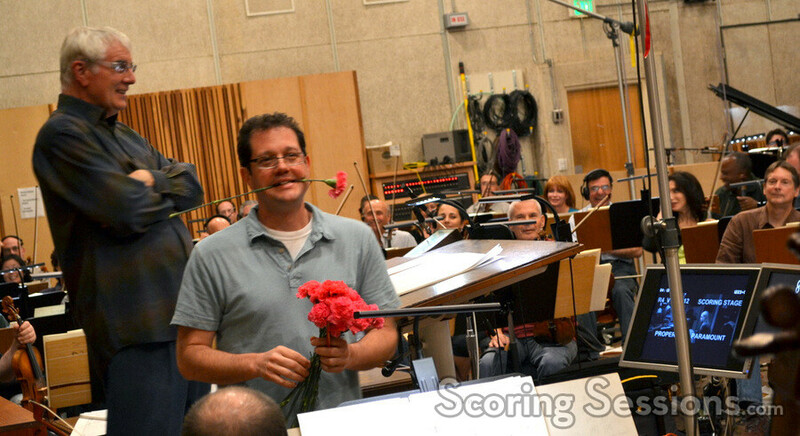 The scoring session we attended took place on Mother’s Day, and Giacchino handed out flowers to all the ladies in the orchestra. 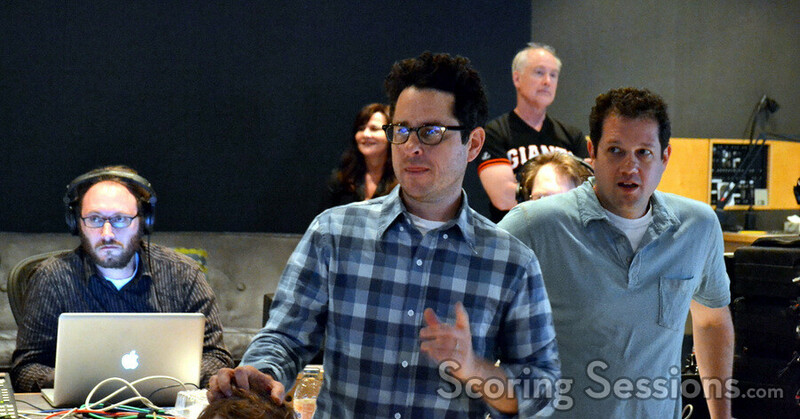 Additionally, director J.J. Abrams and producer Bryan Burk brought their parents to make the day extra special. 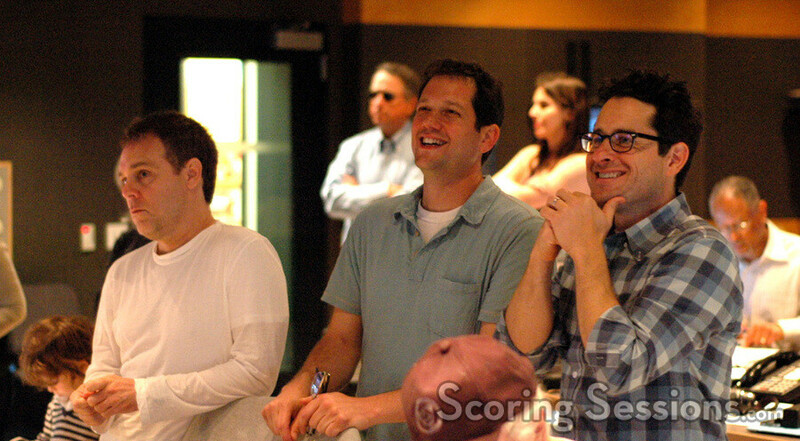 In the booth, scoring mixer Dan Wallin was assisted by music editors Alex Levy and Paul Apelgren, and score coordinator Andrea Datzman. 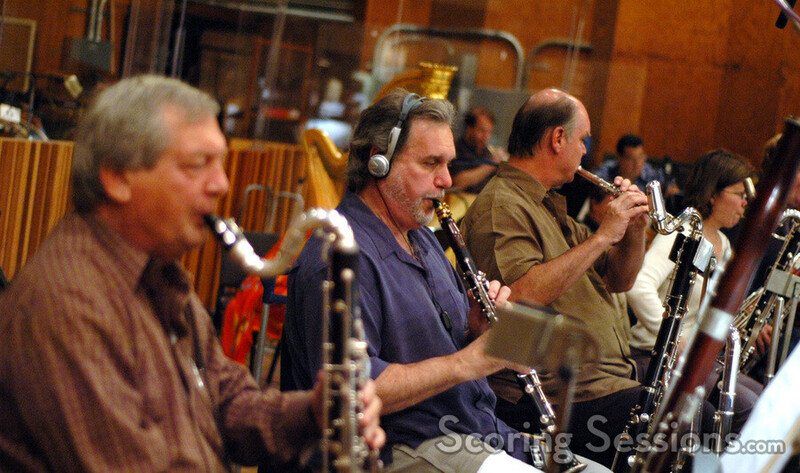 Orchestration on the score was done by Tim Simonec, Ira Hearshen, Brad Dechter, Cameron Patrick, Chris Tilton, Andrea Datzman, Larry Kenton, Mark Gasbarro, Norman Ludwin, Peter Boyer, and Marshall Bowen. 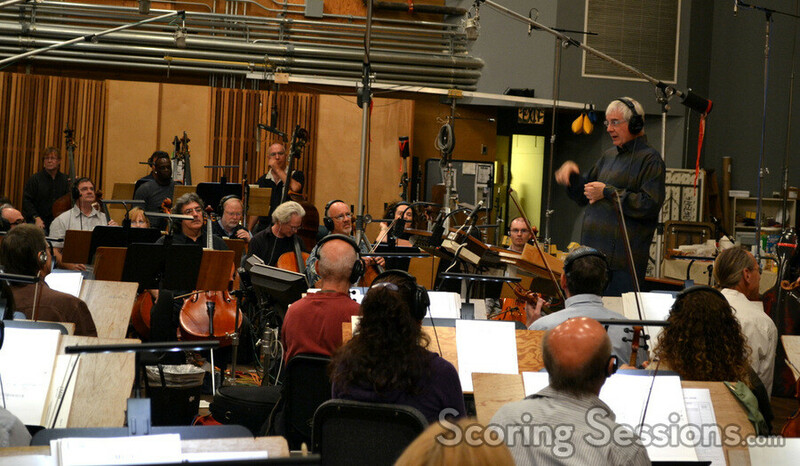 At one point, the reworked finale to the film was recorded (after being recorded at a previous session, some changes were made), and we got to witness the excited reaction as Burk, Abrams and Giacchino got to hear it for the first time with the full orchestra. 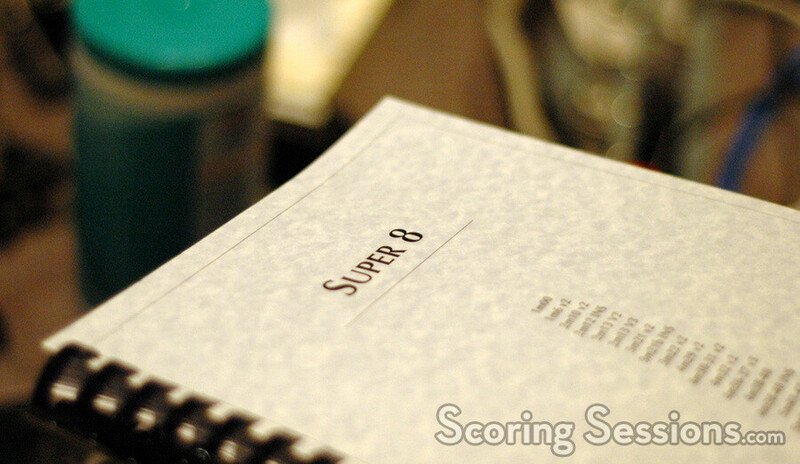 Super 8 was released in theaters on June 10, 2011, and has grossed over $230 million worldwide. 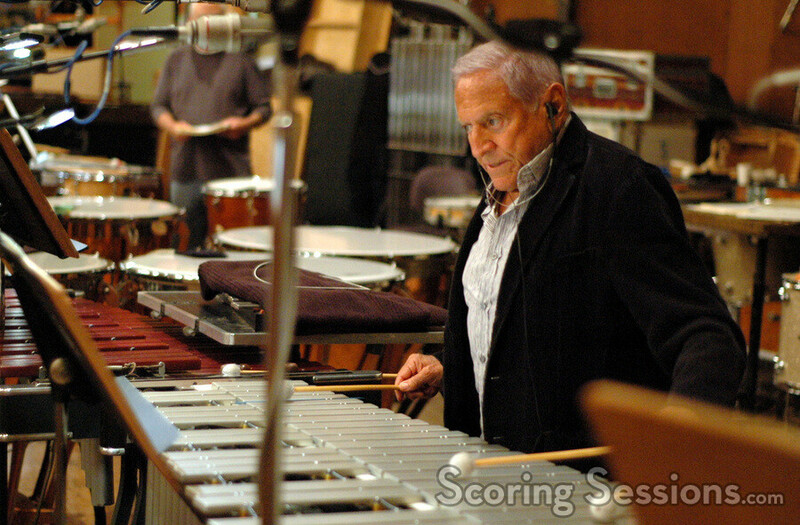 A soundtrack album featuring Giacchino’s score was released on CD on August 2, 2011.